Every lifter has a sticking point. All that means is if a lifter attempts a heavy enough weight – that spot where he/she eventually misses is the sticking point. That sticking point may not even show up at sub-maximal weights but the reality is, there is a sticking point somewhere or a lifter would be able to lift endless amounts of weight without failing. Move the bar at decent speed with slight slowing at the sticking point. Explosive lifter that uses momentum to get through the sticking point. If the bar is not moving fast enough, you will get stuck in that sticking point – not able to push through. Once you answer these questions, you should still get feedback from a coach who can review your lifts to see if the sticking point is where you think it is. Why? 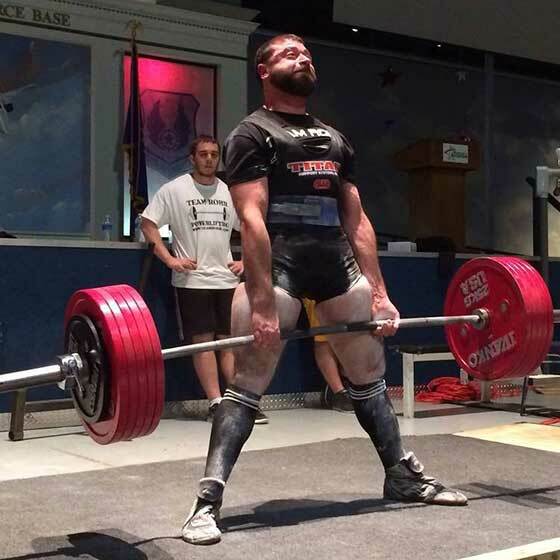 Because a lot of times with novice lifters, the most important thing we can do is improve technique. If technique is poor, it may seem the sticking point is actually at a different place than you think. For example: multiple lifters claim they have a lockout problem in their deadlift. Some do. But the majority actually have a weakness or sticking point at the floor, not their lockout. How can this be? Have you ever seen someone deadlifting and their back is rounding so bad that it makes YOUR back hurt the rest of the day? Think about how that looks. As the lifter begins pulling from the floor, the back begins rounding, the hips start coming up, then the bar leaves the ground about the time the knees are only a few degrees from locking out. The lifter gets the bar to their knees, then starts shaking, then fails. A lockout problem, right? WRONG. The lifter is too weak at the bottom position to maintain proper technique. He/she defaults to using the muscles that are stronger, making it easier for them to get the bar moving. There are numerous muscle groups that may be lagging in this instance, but the most common are the abs, upper back, spinal erectors, rhomboids, glutes, hamstrings or a combination of those. Even though the low back plays a large role in the lockout, if it is used as the primary mover from the floor, not only does it get fatigued fast, it is also in a weaker position (biomechanically speaking) when the bar gets to the knees. This is also why you sometimes see a lifter miss a 500lb deadlift just below their knees but that same lifter can do a rack pull with 650lbs when the bar is starting just below the knees. The lifter is in proper position when starting below the knees with the rack pull but not when they get there during the full deadlift. Assuming that technique is not the problem, we can start breaking things down in more detail. Question 1 and 2, assuming good technique, paint a picture of what is going on. Let’s say that you are a fast bench presser. You bench explosively and if it slows down at all, you miss the lift. The point at which you miss is halfway up. If you are using momentum (benching explosively) and you fail about half way up, it is very likely that your sticking point is actually lower than where the bar stops moving up. You are losing steam below where the bar actually stops. In this example, it can be weak triceps, weak upper back, weak pecs, improper energy system training or just an inefficient nervous system. Keeping it simple, let’s assume weak triceps are the problem. Many people will do board presses or pin presses at the point they miss. As we said before, odds are the sticking point is lower than where you miss. In this case, it is important to work in the range of motion in which you are weak. If you miss at the height of a 3 board, you may need to work at the height of a 2 board (the range of motion in which you are actually weak). Sometimes these sticking points can be deceiving and hard to identify. However, if you use the above guidelines and think logically, you may discover that your sticking points aren’t exactly where you think they are. Fix the weak link and you will get stronger. Need help finding your sticking point? Team Rohr can help fix your weak links and make you stronger. Hire us for in-person or distance coaching! Click here to schedule a free consultation. The Great Squat Shoe Debate: Heels or No Heels?